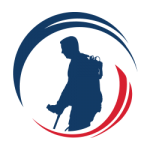 STAMFORD, Conn., Nov. 09, 2017 (GLOBE NEWSWIRE) — SoldierStrong, a nonprofit organization dedicated to providing advanced medical technologies to veterans, today announced its 2017 recipients of its SoldierScholar scholarship program. The scholarship program aims to help supplement the Post-9/11 GI Bill, by filling tuition gaps it may leave for select students. This year, a new SoldierScholar scholarship was launched at Old Dominion University for a female veteran studying STEM. Endowed scholarships include Syracuse University’s Maxwell School of Citizenship & Public Affairs, the Batten College of Engineering and Technology at Old Dominion University, and the Walsh School of Foreign Service at Georgetown University. Navy Veteran Stephanie Primeaux, is a qualified nuclear electrician with 6 years of experience in the nuclear industry. Skilled in nuclear operations, maintenance, and management, she served as a Nuclear Electrician’s Mate on the U.S.S. Harry S. Truman, and more recently as a Facilities Manager at the Fleet Readiness Center Mid-Atlantic. While pursuing her degree, Stephanie is interning at NASA’s Langley Research Center as a Cost Analysis Intern in the Proposal Development Office. Watch a video about Stephanie’s story here. Mitch Forbes joined the Army in 2012 and was deployed to Afghanistan in 2013. The following year, his platoon was ambushed and Mitch was wounded by enemy small arms fire. 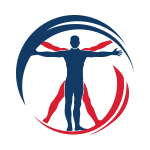 He underwent dozens of surgical procedures while recovering at Walter Reed Military Medical Center at Bethesda, MD. After being medically retired, Mitch earned a BA in Policy Studies from Syracuse University, and is currently an EMPA candidate at Syracuse’s Maxwell School. Chris Tonsmeire enlisted in the US Army Reserves as a Combat Engineer following his freshman year in college. Shortly after, the events of September 11th, 2001 changed his education plans. Chris received a conditional release to enter active duty as a Special Forces Recruit and served two combat tours in support of Operation Enduring Freedom. During his second tour, he was wounded in action and was unable to remain an active member of Special Forces. In 2009, he separated from the military to continue his education. Chris has been awarded a Bronze Star, Purple Heart, and Combat Infantryman’s Badge for his service. Navy Lieutenant Mikel Rodriguez has over 3 years of international experience including multiple deployments to Afghanistan. During his second duty in Afghanistan, a recoilless rifle round landed a few feet from him, causing significant damage to his back. Mikel underwent extensive spinal surgery, then continued his service following recovery. Mikel spent four years living in Spain, working closely with foreign partners in Europe and Africa as well as with the Department of State. Today, he is interested in learning about statecraft, international diplomacy and negotiation, with a goal to enter a career in foreign policy. Read more about Mikel here. 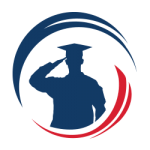 To learn more about the SoldierScholar program and how to donate, visit https://www.soldierstrong.org/scholarship.